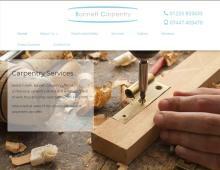 Bonnett Carpentry are a highly skilled workforce of carpenters in Bath. With years of experience of providing carpentry services across the South West, Bonnett carpentry offer a full range of carpentry services in Bath. Bonnett Carpentry Limited cover Bradford-on-Avon, Bristol, Bruton, Chippenham, Frome, Malmesbury, Melksham, Radstock and the rest of the South West. Do you need sub contract carpenters in Bath or fencing contractors in Bath? Contact Bonnett Carpentry – Bath carpentry services for your home or business.